Recently I had another breakout – and I spent so much time thinking about what could be causing it. I was eating well, with enough fruits and vegetables that would make a nutritionist proud, and I was definitely not stressed given that I don’t do much every day. The time of the month was also nowhere near, so I was really racking my brains trying to figure out what’s causing the breakout this time. Then it finally dawned on me… that it’s been almost a month since I last washed my brushes! Horror! 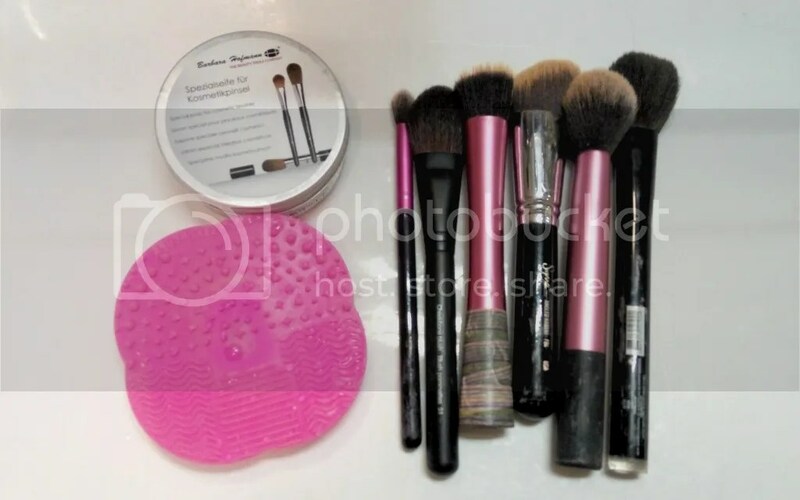 Today’s beauty tip, tricks and cheats – to wash your brushes regularly – sounds too simple to be called a tip, trick or cheat, but it’s also the same thing that we rarely think about or often forget about when we are thinking about skincare or taking care of our skin. We just attribute good skin to good products, whereas washing our brushes is just something that we all know has to be done, but always push aside. All we think about is which brush to blend in foundation, or the perfect brush for contour, but we forget the most important thing about brushes is that we have to wash them regularly. When we use brushes, bits of makeup, the natural oils on the skin, dirt and bacteria gets trapped in the bristles. So while it seems basic, every time you’re re-using the brush, you’re basically rubbing all that – the old makeup, natural oils, dirt and bacteria – all over your face again! That can lead to clogged pores and pesky breakouts. So the next time you’re getting another breakout and you can’t figure out what is the cause, do a quick check of when was the last time you’ve washed your brushes and get to it!